DrayTek realizes the ideal networking device for residential users should meet the infrastructure they are located, guarantee reliable services they need as well as the simple configuration /installation and decent appearance for their daily-use at home. 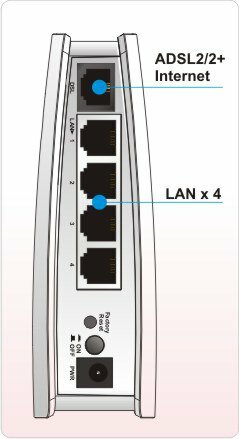 Keep this in mind, the Vigor2710e/ne is an ADSL2/2+ router with firewall features. 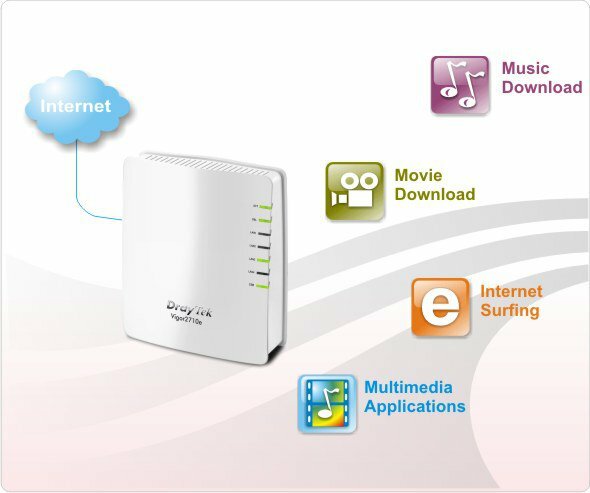 Function-wise, it can provide secure Internet access and ensure high quality multimedia streaming for home entertainment through user-friendly configuration /installation in DSL environment. In addition, the eye-catching exterior design of Vigor2710e/ne makes a network device fit your interior design at home. All in all, Vigor2710e/ne is ideal for residential users. 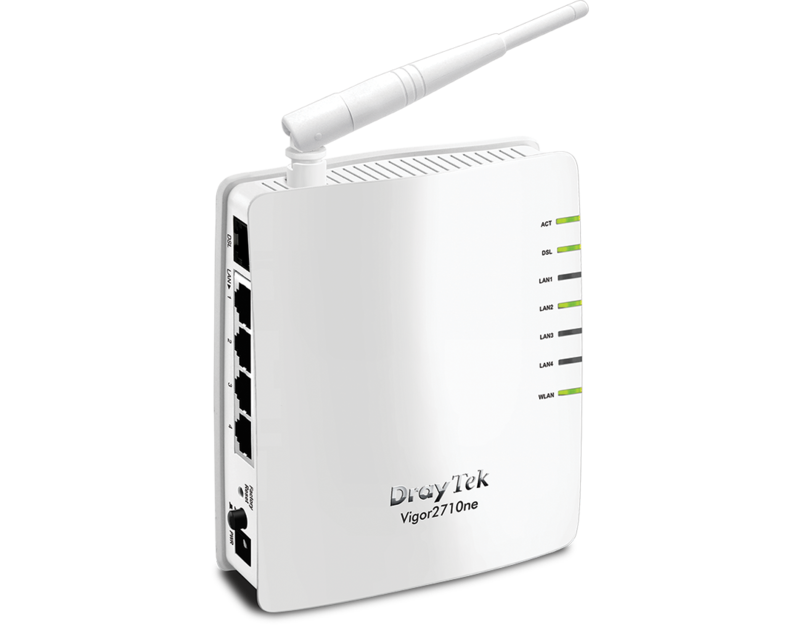 The Vigor2710e/ne provides users with fast and stable access to the Internet by means of ADSL2/2+ broadband. The online-gaming, multimedia (audio/video)-streaming, file downloading, Internet surfing can be simultaneous available for family members. Its well-structured Web User Interface and Quick Start Wizard simplify configuration and management. Let Vigor2710e/ne get the jobs done by itself without extra maintenance. 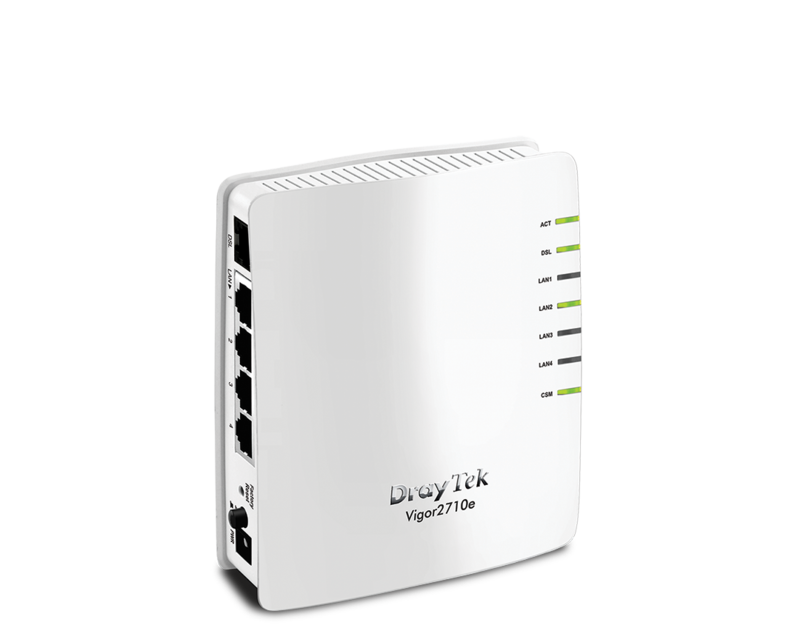 Vigor2710e/ne is a compact ADSL2+ router, DrayTek also offers enhanced security protection for your network. The DoS /DDoS attack prevention, SPI, multi-NAT, DMZ host, Port-redirection, Open Port, and MAC address filter strengthens the security outside and inside the network. Make security without compromise or bothersome configuration.